At the moment, the world has two main server operating systems running the world’s websites. It’s Windows and Linux. They both have their customers who love these operating systems for what they offer. Windows aims to the users using Microsoft-made programs and .NET framework. Linux, on the other hand, is being lauded as a cheaper and more stable option – therefore it has more end users, most of them using regular content management systems and other optimized software. But this post is not about which one of these operating systems is superior. Users are different, so are their needs, we are not judging – in this article, I will speak of the best options for both Windows and Linux. Here they are – the best hosts on both sides of the ring. 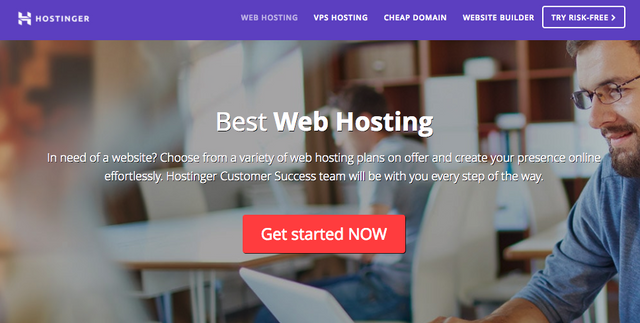 Hostinger is up-and-coming hosting provider. In the recent years, its customer base has increased exponentially – and there’s a good reason for it. Hostinger is well-known for its super low prices. That isn’t the only thing it has going on – Hostinger also makes serious speed promises and delivers on them. Pages hosted on Hostinger servers regularly clock response times below 200 ms – for those with less experience in the field, it basically means “ridiculously fast”. Low prices and good performance on an easy-to-use Linux panel is a terrific combination. This provider won’t offer any Cloud or Dedicated hosting – but when it comes to Shared hosting or VPS servers, Hostinger does everything brilliantly. While Hostinger is still a rising star – BlueHost is a giant of the business with a terrific reputation under its belt. This host is very popular and also offers an incredible number of services. BlueHost offers nearly every type of hosting performances under the sun – that includes Reseller, Cloud and Dedicated hosting. On top of all these things, it’s a host recommended by WordPress and various Bluehost reviews mention how well-optimized WordPress websites are on this host. This is definitely a yet another strong option for the people looking for Linux hosting. Windows hosting servers are often criticized for being down way more than Linux. This is where A2 hosting comes in and proves everyone wrong. This hosting provider is seemingly on a mission to prove everyone that Windows server hosting can be fast and reliable. Quick servers and knowledgeable customer service make this a great option for many users – both beginner and advanced. Previously one of the undisputed leaders of web hosting, HostGator is not doing so well now – but not everything is doom and gloom. While the Linux shared hosting is not as valued as it once was, Windows hosting plan is definitely one of the best ones currently available. Rich in features, it is also less expensive than its A2 counterpart – and many people feel like it’s an option worth taking. In the future, it is expected from HostGator to put more and more emphasis into Windows hosting – they definitely know how to handle it well. So here they are – the 4 brilliant hosting providers, 2 each for Linux and Windows. As I mentioned earlier, this is not a post willing to talk about which operating system is more superior. The logic here is simple: by taking of these providers you will be getting yourself some high-quality server space. Whether it’s going to be running Windows or Linux is entirely up to you and your future plans. So pick one of these hosts, enjoy quick and reliable services and use your favored operating system to the max!